Honestly, it’s not that I don’t care about germs and I certainly don’t want anyone in my house to get sick. As a matter of fact, I rarely get sick even with all the kid germs that the baseball mom probably thinks are setting up camp in my house. Occasionally, I have allergy problems but it’s nothing that a little Claritin and Benadryl can’t fix. And the 5 second rule? In our house we don’t subscribe to that kind of nonsense. When it comes to dropping food on the floor, we have more of a “you better pick that up before the dog eats it” rule. I come from a 70’s world where we played on steel monkey bars over a concrete foundation, drank from the garden hose and lived to tell about it. I totally get that we live in a different time than when we were kids. I know it’s not always safe to go outside at night and ride your bike around the neighborhood on a summer night. When the sun goes down, my son comes in the house. I fondly remember those simple days and while I’m glad we no longer have concrete under the monkey bars at the playground, I do miss some of these things from my childhood. Do they even make these anymore? 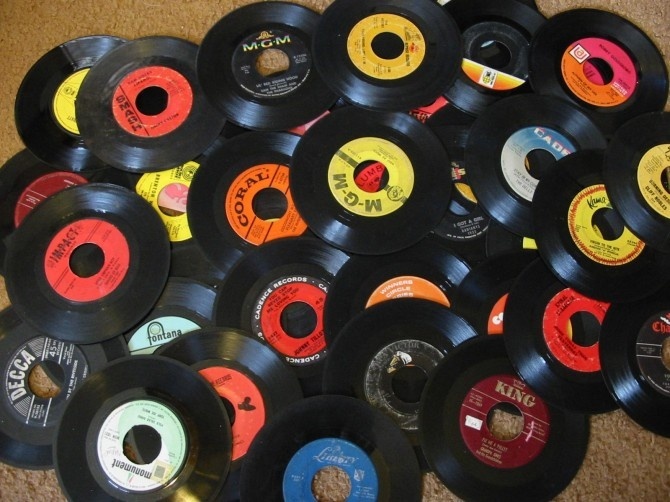 I had a box with a lid that snapped to keep all my 45’s in. Remember this one? 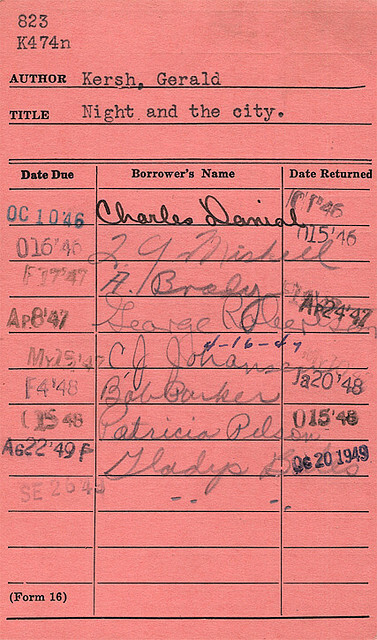 It’s how we checked out books from the library. I even volunteered to work at the library when I was in 4th grade. To this day, I still remember the Dewey Decimal System. 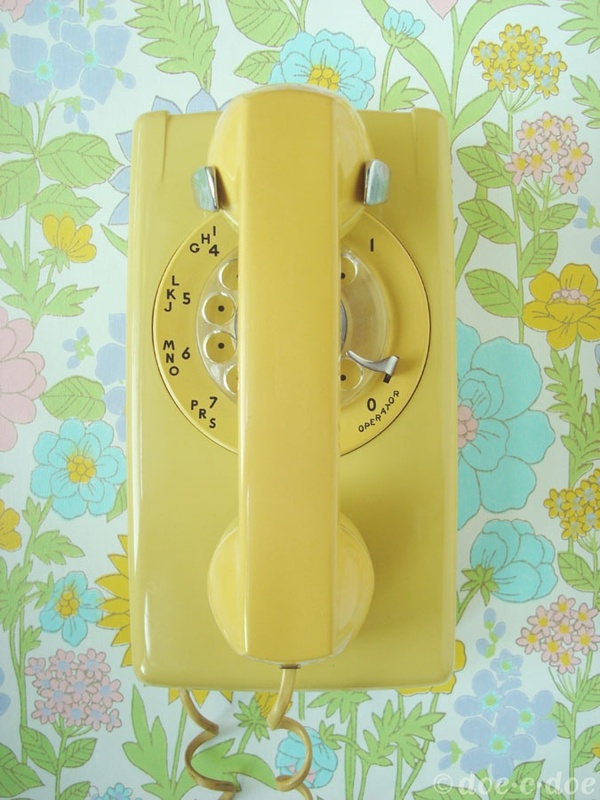 We had a phone like this in our kitchen. Matter of fact, I still have the outlets in my current house on my kitchen wall to plug one of these in. I bet if I showed this to Jake, he’d probably ask me how do you send a text message. 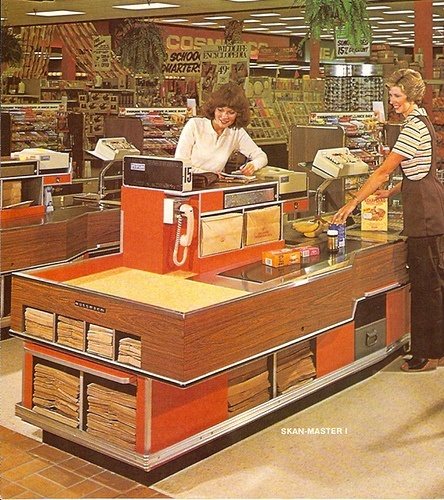 This was before they asked us paper or plastic. Remember how we had all these different sizes for paper bags? And check out the phone she has at the counter … that’s high tech stuff right there. 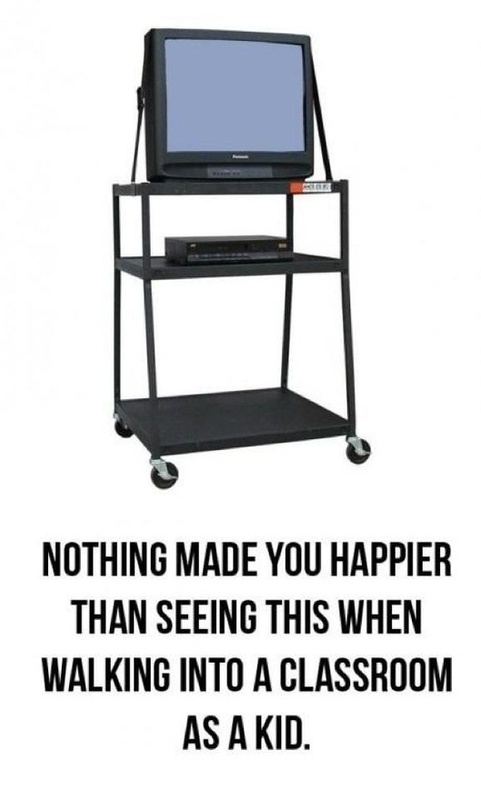 Nothing made me happier than to see this when I walked into class that day. You knew there was either a sub or a chance to take a nap. Remember these guys? 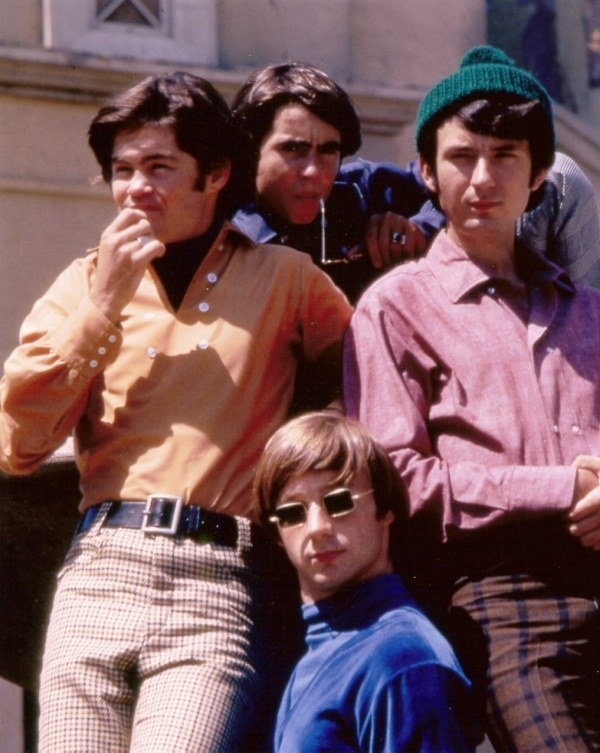 The Monkees … my first boy band crush. Did anyone else watch their show? I was heartbroken the day when Davy Jones died. Did anyone else spend hours putting these stamps into the books? And then you got to look through the gift book to see what you could ‘buy’ with your S&H green stamp-filled books. 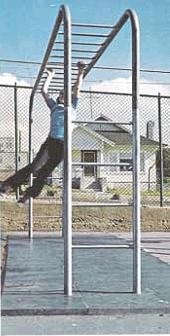 Yep … the infamous steel monkey bars! You learned real quick how to stay on or else you hit the concrete ground pretty hard. Remind me one day to tell you the story of how I got two black eyes from playing in a playground like this when I was 5. Growing up in the 70’s was the best …. hahahahha! That’s great! I will admit I have one bottle of Germ-x in my son’s bathroom… Did you know it really only kills about 43% of natural germs, or something like that. It’s insane how we think we need that stuff! I know, its those commercials that make us think we need the stuff. I have the neo-stuff you put after they get hurt but that one makes sense to me. I also encourage my son to wash his hands a lot and I personally think that kills more germs than the germ-x. Washing hands does work so much better! 30 seconds (I sing the happy birthday song to myself) and you are clean and germ free! What those moms don’t realize is every time they use that they actually weaken their immune system. 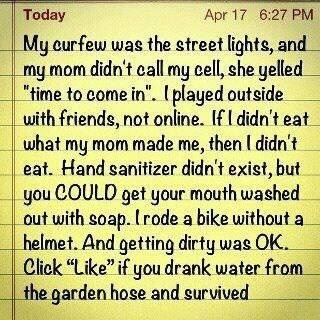 You have to get germs to fight them so, as another kid from the 70’s, I think we’re good. I loved seeing the G&H green stamps!! Thanks for thr back up! Some times those moms make me feel like I’m not taking care of my son’s health but I always felt the same way that you do. And the green stamps — haha, you remember doing those too? It was a big production number with sponges, water and towels to get all the stamps in the books. Ah, the good old days. When I went to college, my sheets and comforter were purchased with S&H green stamps. Mom and I often spent an afternoon pasting all the stamps in those little books. And I recall my joy when we upgraded to the super long phone cord that allowed you to wander six feet away from the phone. 1950 memories, and 1960 as well, are as foreign to our kids as cassett tapes will be to theirs. And as hard as it is to believe, our kids will tell their kids about their good old days. I forgot about cassette tapes!! And pagers, remember those? I think I need to do a part 2 to include the items I forgot in this first one. I remember the long cord … and then you would hold it upside down and let it spin to unravel the cord. And if you didn’t have the cord, you had to sit next to the phone when you talked to someone. 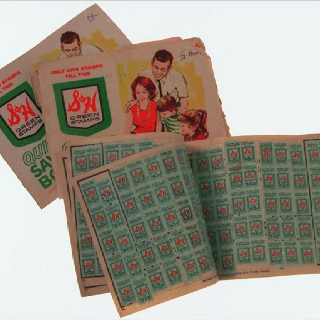 What a cool story about your S&H green stamps. I can’t remember what we bought with our books but I remember all the stamps and getting all that sticky stuff on us when we put them into the books. How about the merry-go-round on top of a dirt gravel mix, I still have the scars. I confess, I have sanitizer next to the diaper wipes for when my little man’s hands grab down there mid-diaper change. Other than that, bring on the germs baby and build that immune system! Oh yeah … those merry-go-rounds … I remember those! I can see why you have the sanitizer ready for the mid-change. Those are some nasty germs right there. Isn’t funny how when we were kids, our moms didn’t think like this? I wonder if anyone has ever done a study about immune systems of us kids compared to our kids. I saw a study that kids who grow up on farms around animals in all their glory have a much healthier immune system than city kids. Must have amounted to the same thing. That’s when I decided it wasn’t worth freaking out about, although I do wipe the cart handle at the store. Poopy diapers sit on the same part I put my produce, enough said. I am with you on the cleanliness thing. I definitely have neat freak tendencies. I wash my hands – a lot! However, I like your version of the 5 second rule, and I have no idea if we have hand sanitizer in our house. I do my best to keep the house cleaned but sometimes other things get in the way. I do have these days when I get into a cleaning frenzy and just get stuff done. And then it feels good to be in a clean house until or dog or Jake comes back into the room. I’m an 80’s kid, so can’t relate to all of it, but we do still have a phone and paper calendar in our kitchen. And a bottle of hand sanitizer.